Sigma Beauty Affiliate Program: Affiliate Spotlight: Jessica's Top Sigma Picks! 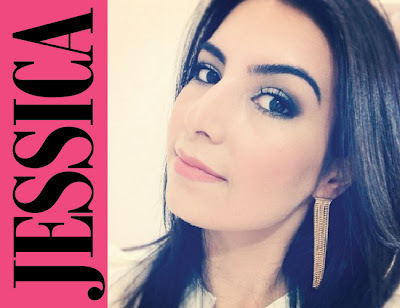 Jessica: Eu amo o Cleansing and Polishing, porque ele limpa a pele e esfolia de uma vez só! I love the Cleansing and Polishing Tool because it cleans and exfoliates my skin at once! Jessica: The E35 Tapered Blending Brush. É o melhor pincel para esfumar a sombra, pequeno ele encaixa certinho no concavo. The E35 Tapered Blending Brush. It is the best brush for blending the shadow neatly in the crease. Jessica: The E15 Flat Definer Brush. Adoro esse pincel porque com as cerdas retas e firmes é muito mais fácil delinear os olhos. The E15 Flat Definer Brush. I love this brush because the straight and firm bristles make it much easier to apply eyeliner. Jessica: The F80 Flat Top Kabuki. Eu sempre uso esse pincel para aplicar fase, fica super leve e natural. The F80 Flat Top Kabuki. I always use this brush to apply foundation, it’s super light and natural. Ela é maravilhosa!!! Adoro ! !